All new Un-Tech Wireless Earbuds which provides you with the best quality materials and craftsmanship. Superb sound quality headset with Bluetooth for stereo sound and exceptional bass sound. 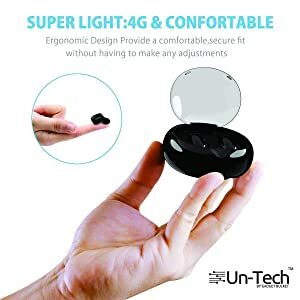 Optimized for extra comfort and fits better in the ear headphones, relieve the problem of appearance, soft material to protect the ears, make your phone call and your music time more comfortable. 1. Take out the earbuds from charging case. press the button on both of wireless earbuds for 3 seconds to switch on the earphones. 2. Find X-TWS or search it in the Bluetooth Settings and tap to connect. 1 x 700mAh Charging Case. Note: Calling is possible only in 1 ear. Music in both ear. 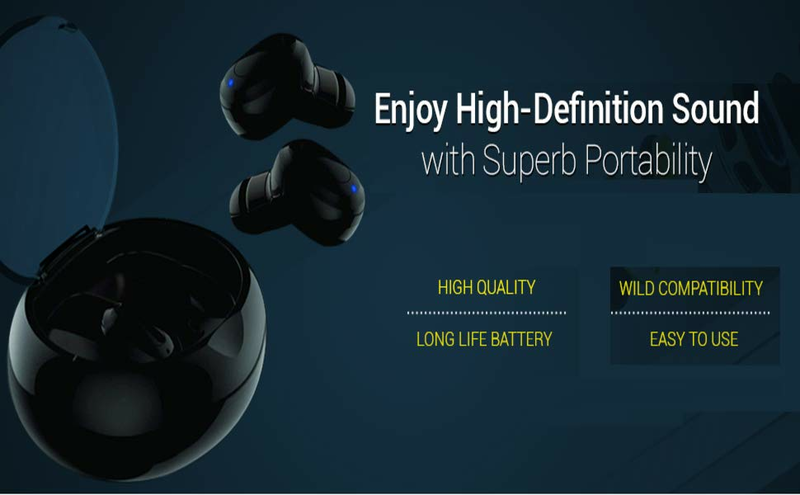 Superb sound quality headset with Bluetooth V4.2 for better stereo sound and exceptional bass sound. Optimized for extra comfort and fits better in the ear headphones, relieve the problem of appearance, soft material to protect the ears, make your phone call and your music time more comfortable. 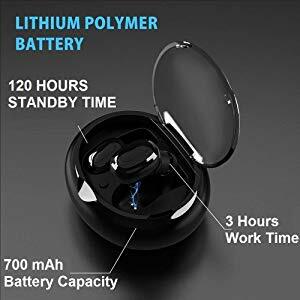 The bluetooth headphone built in 60mAh lithium battery up to 3 hours continuous talking time and music time and 120 hours standby time. 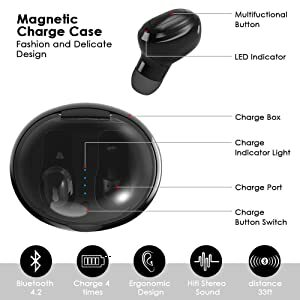 With portable 700 mAh battery charging box, which can support10 times fully charging for the wireless earbuds. 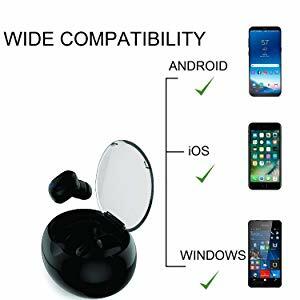 Compatible with iPhone X, iPhone 8, iPhone 8 Plus, iPad, Galaxy Note 5, S6, S6 Edge, S7, S7 Edge, S8, S8 plus,and all the Bluetooth enabled devices. 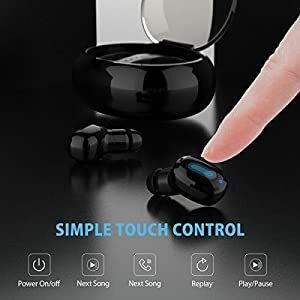 Made of high quality material, provides pure, HD voice, snug and secure comfortable to wear will not cause ear swelling.Power ON/OFF, Next Song, Call Support, Replay, and Play/Pause control.